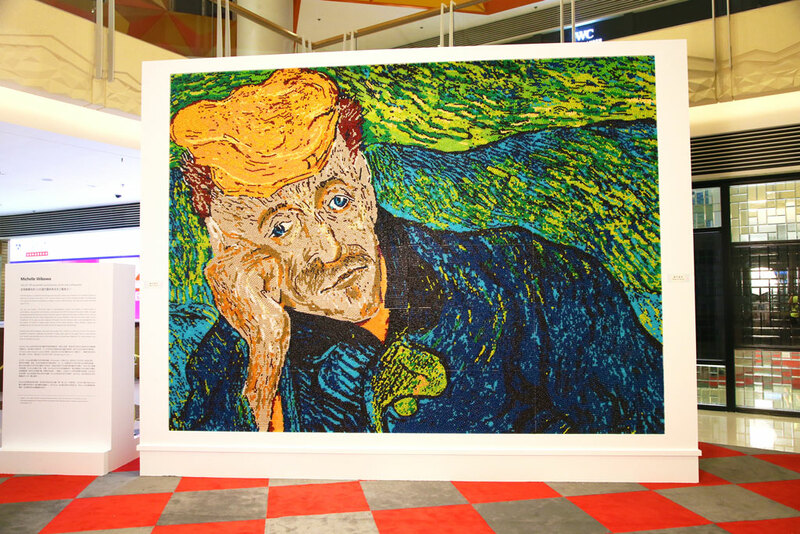 Michelle Sugar Art was commissioned to recreate 4-meter length Van Gogh's Portrait of Dr. Gatchet, one of the most expensive paintings in the world. 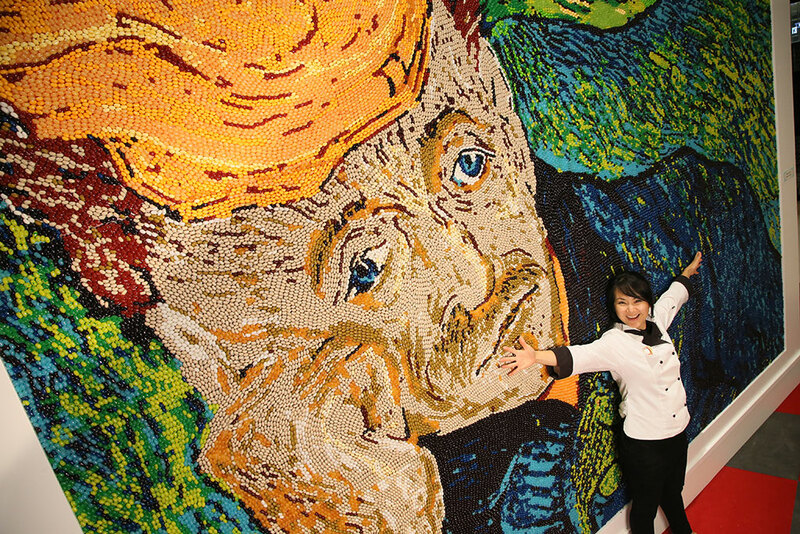 100,000 brightly coloured Jelly Belly Beans were used to inject 'sweet happiness' to the originally melancholic painting. 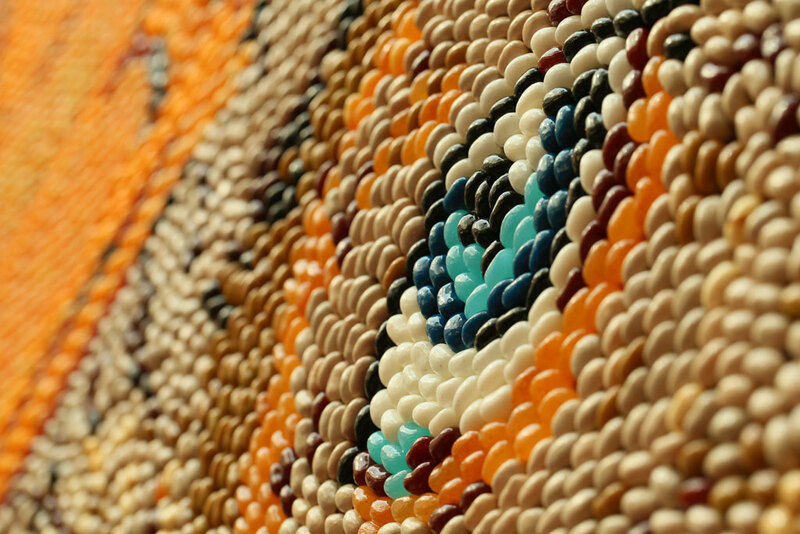 Around 100,000 expired Jelly Belly Beans (120 kg) were used to create the artwork. Planning art-board. 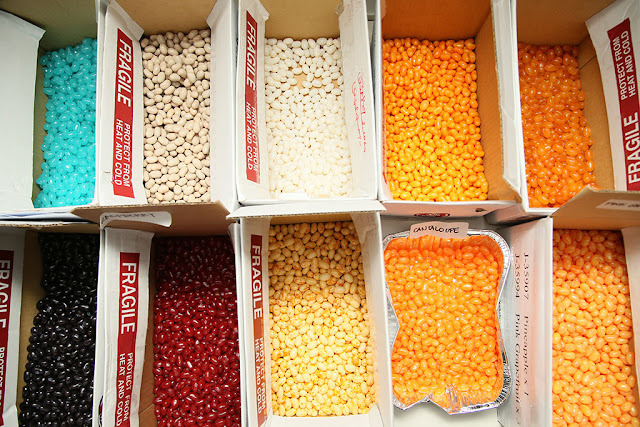 Around 24 different Jelly Belly Colours were carefully selected. 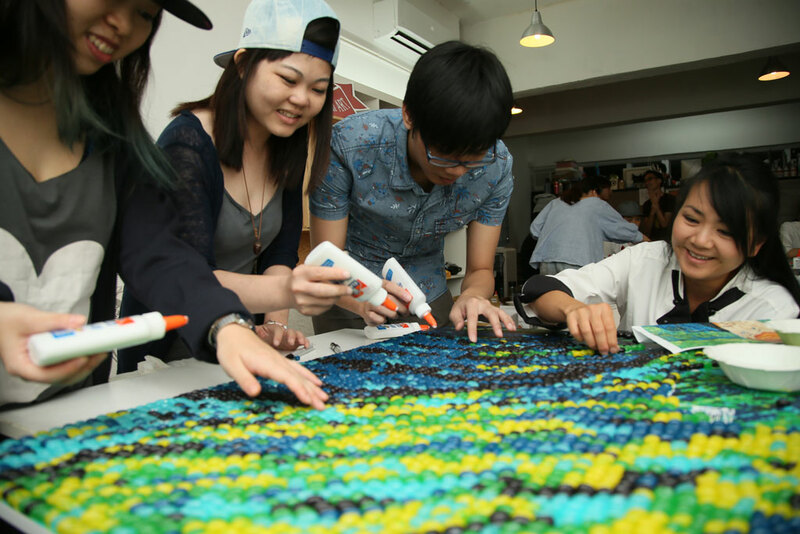 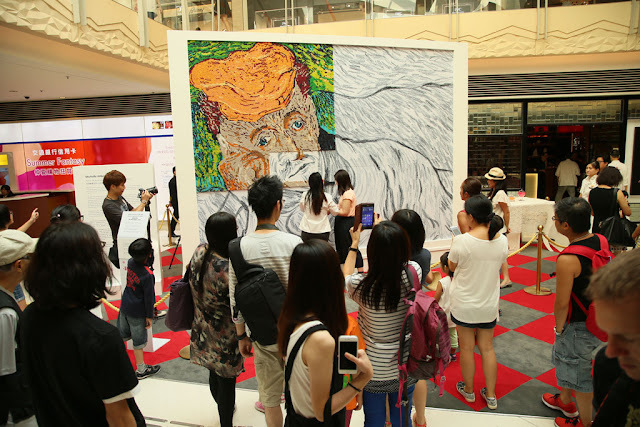 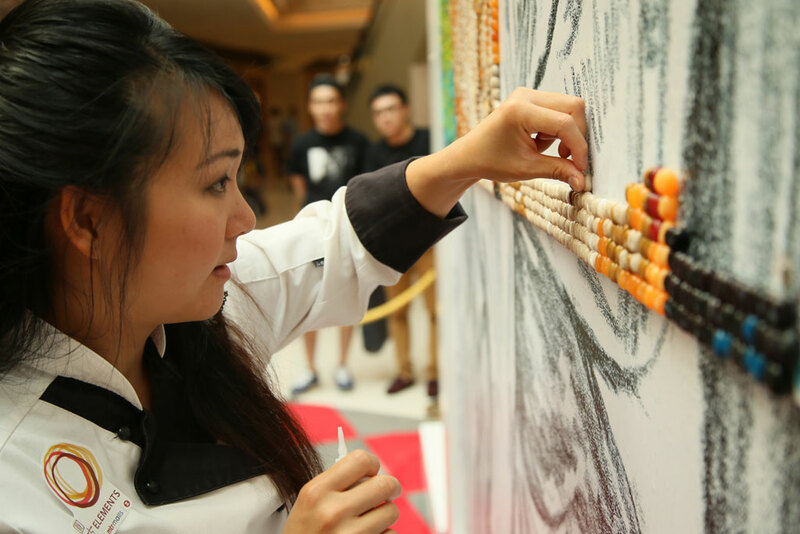 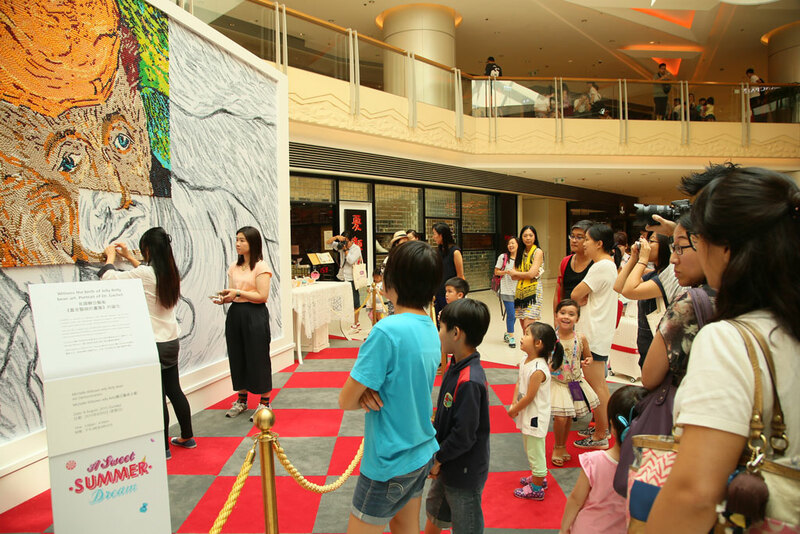 We teamed up with HongKong's youngsters, get creative, have fun, and work together on this giant masterpiece. 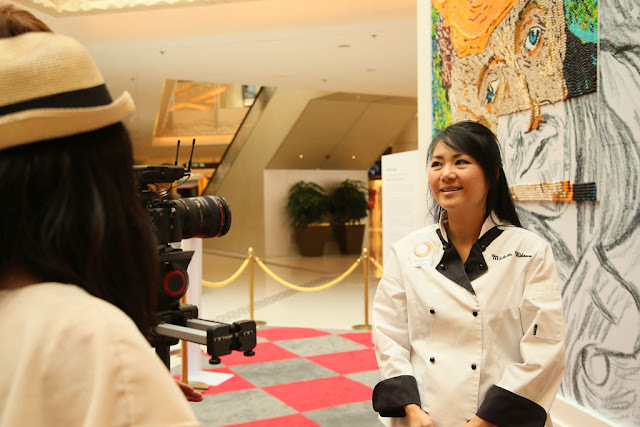 "We want to spread the message of sweet happiness to people of Hong Kong, inspiring them to unleash creativity and follow their dreams"